Spring is here!!! Which means asparagus is super cheap at the market. I dug and dug all over the internet for an asparagus recipe that wasn’t the same old same and came across this recipe from Eating Well. I loved that it had some of the asian flavors already in the recipe, but I thought it would be fun to add even more by upping the miso and swapping rice vinegar for balsamic. I had a blood orange in the fridge that I wanted to use up and it was SO amazing in this recipe. I don’t even know if I would make it with a regular navel orange. 1. Preheat oven to 450° Fahrenheit. 2. In a large bowl whisk together 1/2 the olive oil, 1/2 the rice vinegar, and 1/2 the miso. Then add the tofu to the bowl and stir until generously coated. 3. Line cookie sheet with foil and spread the tofu out evenly on top of the foil. Roast the tofu for 15-18 minutes. 4. While the tofu is cooking whisk the remaining olive oil, miso, and rice vinegar with the blood orange zest and blood orange juice. 5. 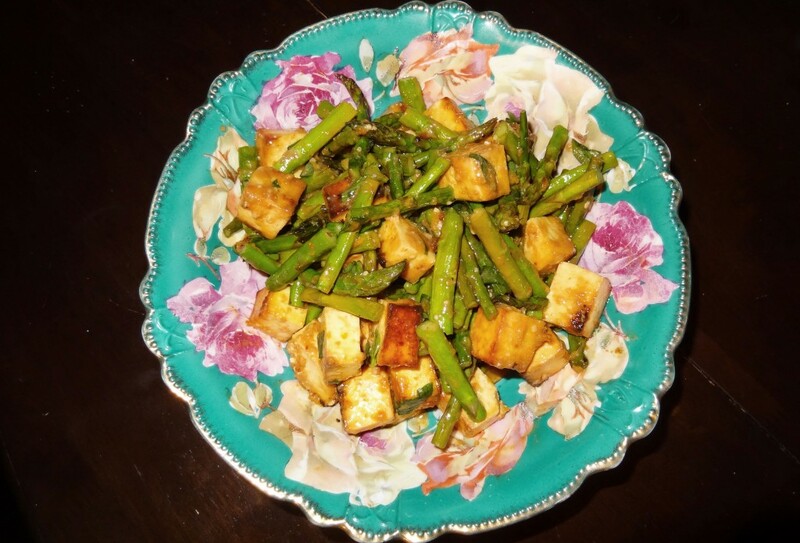 Once the tofu has cooked for 15-18 minutes mix in the asparagus and roast for another 10 minutes, or until the tofu is golden brown and the asparagus is tender. 6. Remove the asparagus and tofu from the oven, place in a large bowl and pour the sauce over it, then add the fresh basil. Stir it all together until evenly coated. Add salt, ground white pepper and chili pepper flakes until desired flavor. Thank you Martha Stewert for this amazing salad!!!! My husband is now hooked on grapefruit… and it used to be a struggle to get him to eat it. The salad we made was pretty similar to Martha’s but we made our own dressing and we brushed the fennel with olive oil when we grilled it. 1. Heat up the grill to medium heat. Brush the fennel with olive oil and season with salt and pepper and grill for about 12 minutes, flipping every three minutes or so. Make sure you don’t burn the fennel… burnt fennel is pretty nasty!!! You may need to brush the fennel with more olive oil to keep it from sticking to the grill. 2. Grill the prosciutto for a few minutes so it gets a nice smoky flavor. 3. Prepare your salad dressing by combining grapefruit juice, olive oil, sherry vinegar, honey, shallot, salt and pepper and whisking it well. 4. 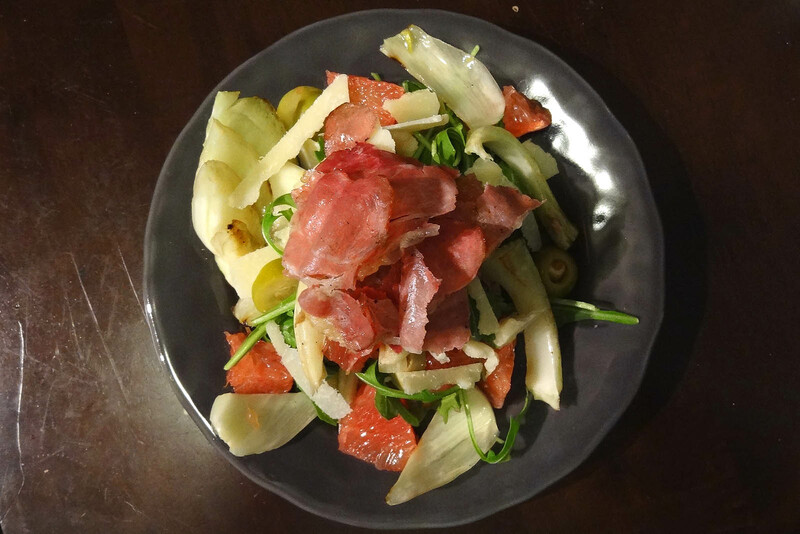 Prepare your salad by arranging the rocket greens, green olives, grapefruit, prosciutto, fennel and parmesan on salad plates. Drizzle with the grapefruit vinaigrette and enjoy. I made an AMAZING curry for Steve and I last week. 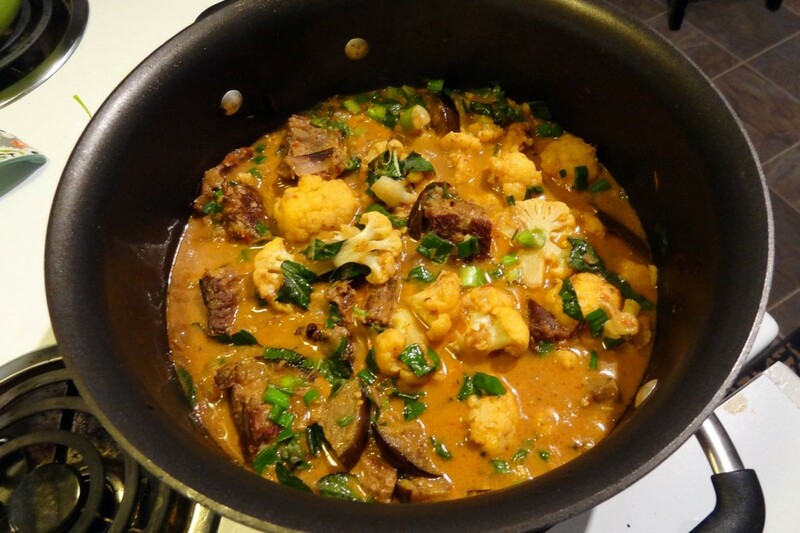 He was craving braised beef short ribs and I was craving Thai curry and Indian curry…. I really couldn’t decide. So I decided to combine them all into one amazing dish. 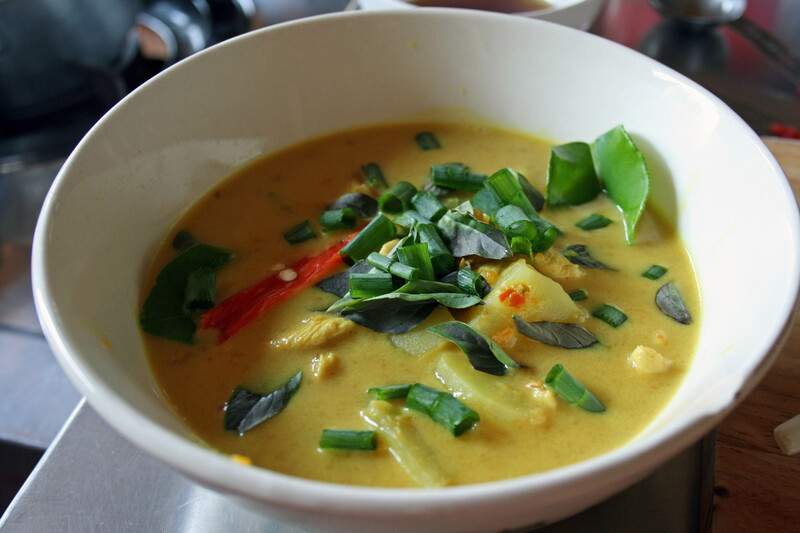 We devoured this Thai-Indian fusion… I had no idea it would be so delicious!!! 1. 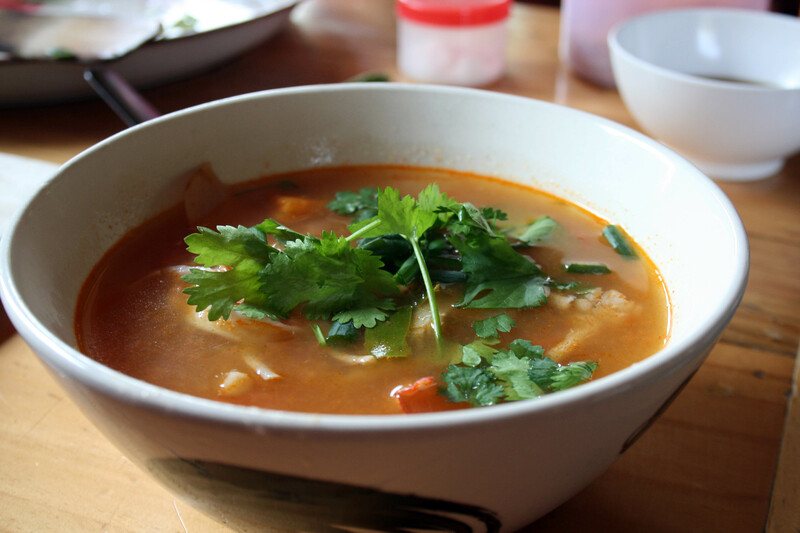 Combine all Red Curry Ingredients in a mortar and pestle, and pound it until it’s a paste like consistency. 2. Will make between two and three Tablespoons of curry paste. I used all of it for the East Meets West Red Curry. 1. Preheat the oven to 400 degrees Fahrenheit and move the oven rack to the middle. 2. Sprinkle eggplant with salt and place it on a cutting board lined with paper towels, this will draw some of the moisture out of the eggplant. 3. Prepare your short ribs. On a cookie sheet lined with aluminum foil (and lightly greased) place your short ribs. Next, season the short ribs on all sides with the cumin seeds, cayenne, garam masala and salt and pepper and really rub the spices into the short ribs. 4. If you will be roasting your eggplant toss it lightly in oil, salt and pepper and go ahead and place it on the cookie sheet with the short ribs. 5. Cook the short ribs (and eggplant if you’re roasting it) for about 20 minutes, until the short ribs are browned. 6. While the short ribs are cooking you can grill your eggplant, brush it with oil and season with salt and pepper before placing it on the grill. Grill for 4-5 minutes on each side on medium-high heat. 7. 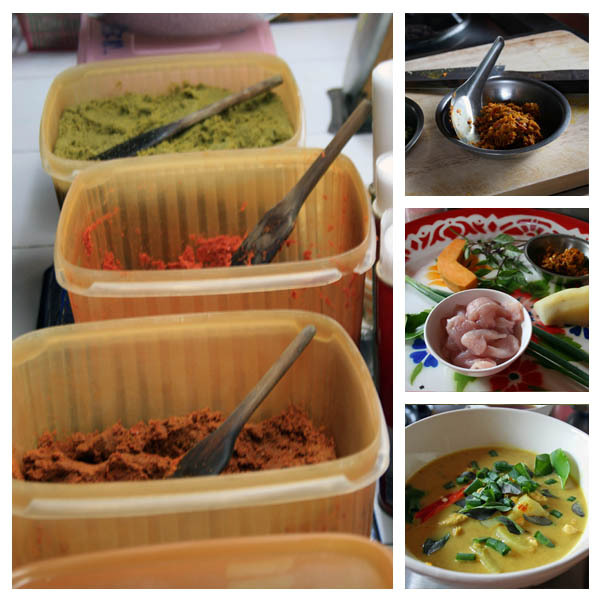 Now is the time to prepare your red curry paste, if you haven’t already, this takes about 10 minutes. 8. In a dutch oven (over low-medium heat), add one tablespoon of oil, tomato paste, and the red curry paste. Saute for 1-2 minutes to bring out the flavors and then add the onions. Saute the onions for about 4 minutes until soft and then add the garlic and saute for another 2-3 minutes. 9. Add in the coconut milk, beef broth, bay leaves, star anise and fish sauce. Bring to a simmer. 10. Remove the short ribs from the oven and place them in the dutch oven with the curry (set aside the eggplant for later) and turn the oven temperature down to 300 degrees Fahrenheit. 11. Cover the dutch oven and place it in the oven for 3 hrs. ; after about 1 1/2 hours you may need to rotate the short ribs to make sure they are evenly cooking in the curry. If you do it right the meet will fall right off of the bone. 12. Carefully remove the dutch oven from the oven and put it on the stovetop on medium/medium-high heat. Skim as much fat as you can off of the top. Add the cauliflower and eggplant and cook for another 5-6 minutes or until cauliflower is fork tender. 13. Reduce the heat and stir in the basil, green onions, salt and pepper. A squeeze of lime is delicious too. 14. It’s finally done!!! And it’s so worth the wait. Since Steve and I returned from Asia we’ve been trying to reduce our waste, which has meant using cloth napkins for all meals, making food from scratch, natural cleaning products and skin care, naturally fermented food and drinks, vermiculture composting, and trying to reduce the amount of pre-packaged stuff we buy…. it’s been a big lifestyle change for us, and we have to make a CONSTANT effort. 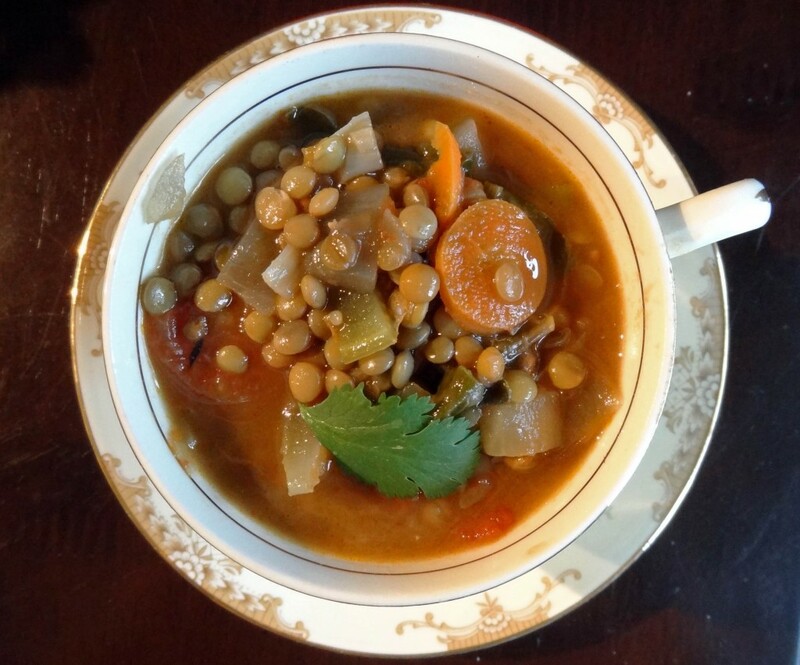 Anyway, here is a link to an AMAZING homemade vegetable broth from Simply Recipes. It’s such a great way to use up vegetable scraps too. When I get home from Portland I am going to make a huge batch of it and put it in the freezer! I’m loving soup season! 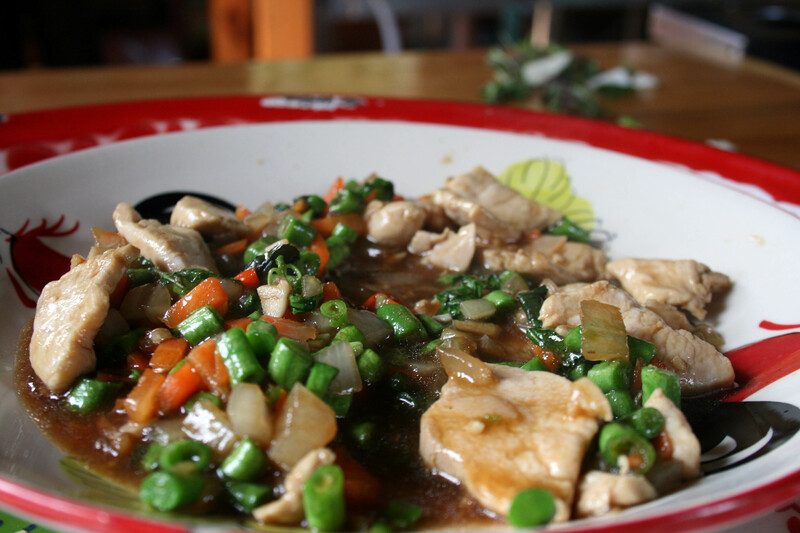 I just found this buried deep within the archives of my blog….forgotten, unpublished and without a pic, but I figured I’d just post it anyway, since we’re in Vietnam right now….and it’s kind of a westernized version of Vietnamese Pho. 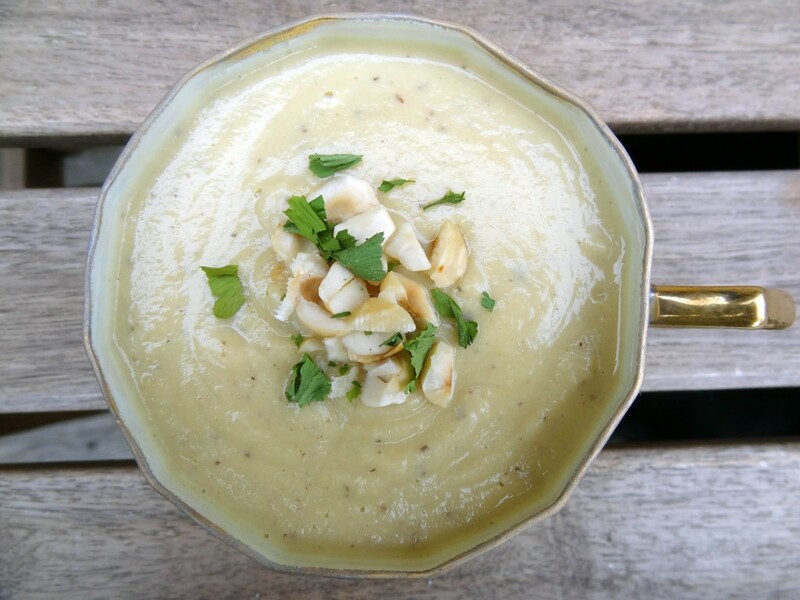 This is one of our favorite recipes from Beverly Leblanc’s recipe book called Soups: 365 Delicious and Nutritious Recipes . It’s fairly easy to make, pretty healthy, and hearty enough to call a meal. The only changes we make are substituting beef broth instead of beef stock, we add thai chilis to the simmer, and we add basil as one of the herbal garnishes. This time we forgot to throw the red peppers into the simmer, so we ended up adding them at the end…it was still good, but I’d definitely not forget them again. 1. Soak bean sprouts in cold water until ready to use. 2. In a large soup pot combine beef broth, thai chilis, star anise, cinnamon, cardamom seeds and fish sauce, cover and bring to a boil. Reduce heat and simmer for 10-15 minutes. Add bell peppers for the last few minutes until they have softened. 3. Pre-cook noodles according to package. 4. 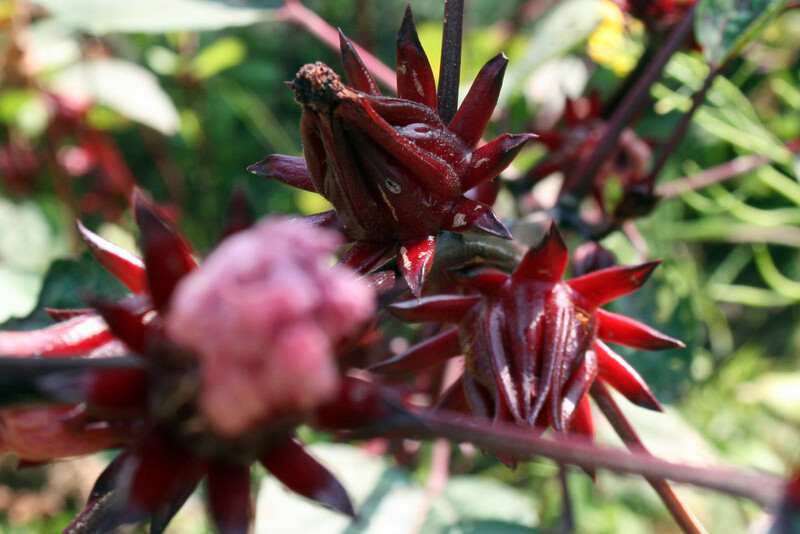 Remove spices from pot with chopsticks, slotted spoon, or other utensil. 5. 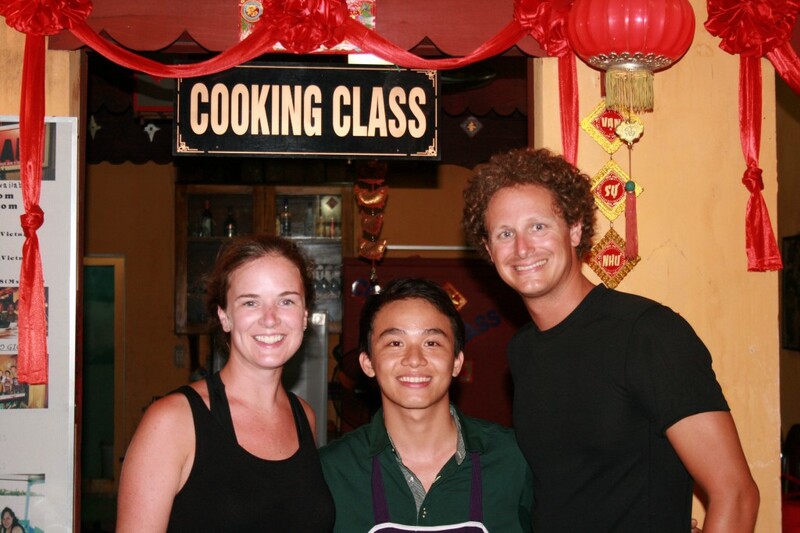 In deep serving bowls combine beef (uncooked), noodles and bean sprouts. 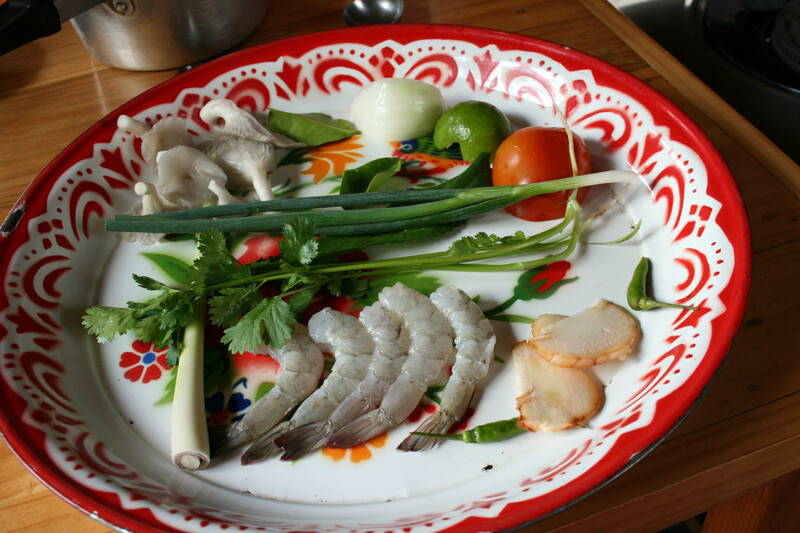 Pour boiling (or near boiling) broth over the top and garnish with cilantro, mint, basil, jalapeño, green onions and lime. 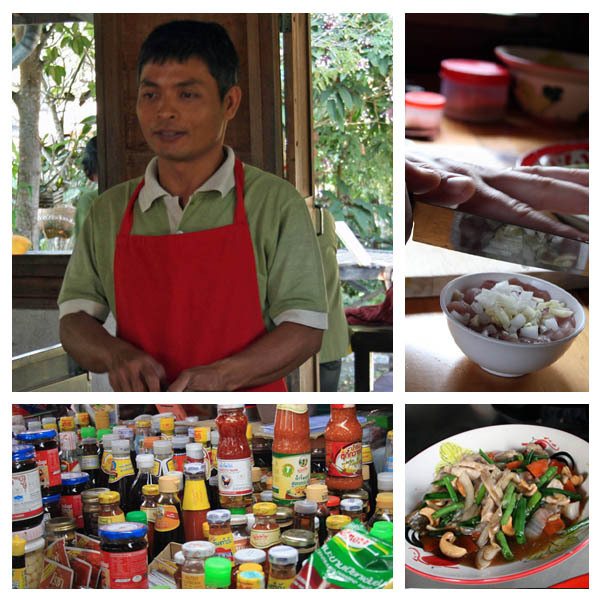 We love our asian condiments, so we usually also serve it with sambal, siracha, spicy black bean sauce…you get the picture….anything spicy we have in the fridge will usually end up in the soup, but it’s also delicious when served a bit more mild. We’re soup addicts and usually make soup(from scratch) atleast once a week, so we’ve loved using Beverly LeBlanc’s Soups: 365 Delicious and Nutritious Recipes cookbook. I don’t think it is being published anymore, but I’ve seen used copies for cheap on Amazon.